At Travelex we aim to give our people the confidence to bring their best self to the workplace and support them every step of the way. We are committed to instilling a world-class workplace culture in which people of all abilities, backgrounds and identities can be themselves at work. Multigenerational: Striving to support colleagues at each life stage, inclusive of age, working parents and veterans. Multicultural: Inclusive of race, nationality, ethnicity and faith – we celebrate all festivities and important cultural occasions as a family. Gender: Focusing on creating a working culture that ensures equitable balance of gender throughout each level of the organisation and offers equal development opportunities to all genders. LGBT: Extending support to colleagues of all gender identities. This year we are implementing transgender hiring in Mumbai. Disability & Mental Health: Travelex is committed to supporting people of all abilities whilst ensuring colleagues are supported in terms of their mental health in the workplace. We strongly believe that mental wellbeing is paramount and are thus committed to optimising the wellbeing of all our colleagues. Supporting this, we have organised a number of activities from health camps to yoga and counselling sessions including regular health check-ups. Our people are our greatest asset. We take the engagement of our employees seriously and organise a number of activities periodically towards this, from our Annual Day function to sport tournaments, fun competitions and team offsites at memorable locations, while also providing better facilities at the workplace through various ‘green and sustainable’ initiatives. Providing a continuous learning environment for our people is equally important and we offer a robust training calendar for a number of business and behavioural development needs. As we aspire to be an engaged workplace, we are continually tracking our progress in many ways, including through a recurring employee engagement survey. This means that every employee has the opportunity to provide feedback on what they need to be as engaged as they can be at work. In addition, we believe in celebrating our employees for their contribution and a job well done. We host a quarterly Rewards & Recognition Awards program for all departments. 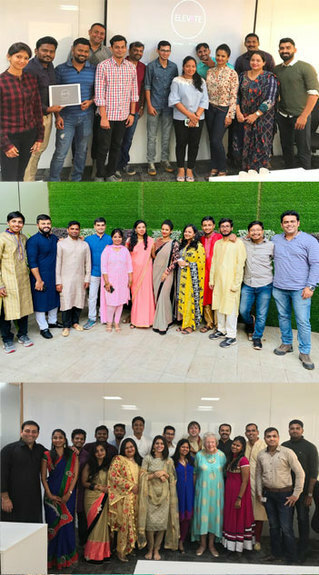 It’s thanks to some of these efforts that we have been able to create a great colleague experience that helps us deliver an equally great experience to our customers and protect our standing for honesty and integrity. We believe every act of giving adds up to something powerful. From local projects to green initiatives, we aim to have an enduring impact on the communities where we live and do business. 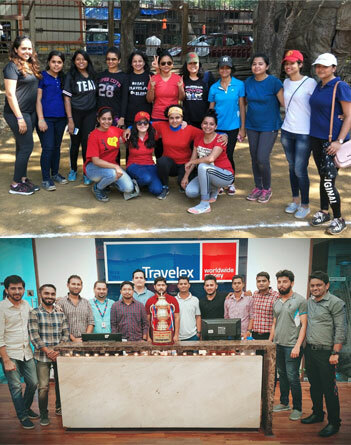 Today, Travelex India has an active Corporate Social Responsibility Committee dedicated to making a measurable difference through active and systematic engagement with all the charities we support. Our goal is to provide a fun and convenient way for our people to make an impact with the causes they are most passionate about, whether that be volunteering time or supporting employee giving campaigns. 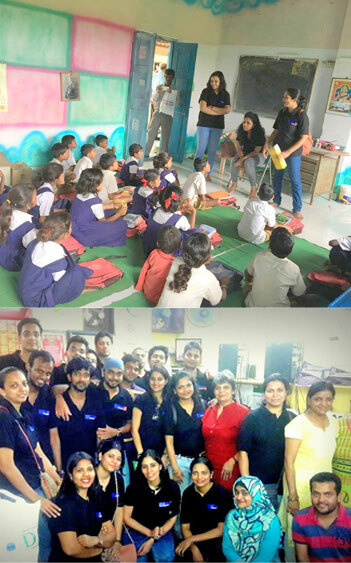 Till date we have organized a variety of activities from beach clean-up drives to NGO visits and volunteering at various shelters and rehabilitation centres including donating a number of commodities through our office collection drives. In 2018 we also contributed to the Prime Minister National Relief Fund towards support for the victims of the Kerala floods (the state of Kerala faced its worst flood in the last 100 years).